One Leon County man complained he was denied the ballot because he had a similar name to a convicted felon. DIRK SHADD | Times The run begins to rise over the polling place at the Childs Park Recreation and Fitness Center in St. Petersburg during TuesdayÕs primary election on August 28, 2018. Florida elections supervisors received a smattering of complaints from voters during Tuesday's primary elections. But by and large, officials said, counties tallied Florida's millions of votes without much incident. In Duval County, a few voters suffered a brief moment of confusion when scanners failed to properly read a few votes. But that county's supervisor of elections, Mike Hogan, said his office spotted the problem almost immediately and quickly worked to fix it. "My office quickly identified the issue at-hand, and because we plan for the unexpected to occur in any election, our back-up process is working," Hogan said in a text message just before polls closed Tuesday. In Leon County, one African-American voter — Thomas Joseph Brown — said he was denied the right to vote because his name was similar to that of a convicted felon — Thomas Jerald Brown — causing a brief stir on social media. Brown said in an email to Politico's Marc Caputo it was "both embarrassing and upsetting to be denied my fundamental right to vote as a U.S. citizen and a Florida resident — a right that I cherished." Brown eventually got to vote in the primary after complaining to the Leon County elections supervisor, he said. Mark Earley, the Leon County supervisor of elections, did not immediately respond to a request for comment. Most everywhere else in the state Tuesday, voting went off without a hitch. Voter turnout was sky high for a primary in several major counties, including Miami-Dade — the state's most populous. 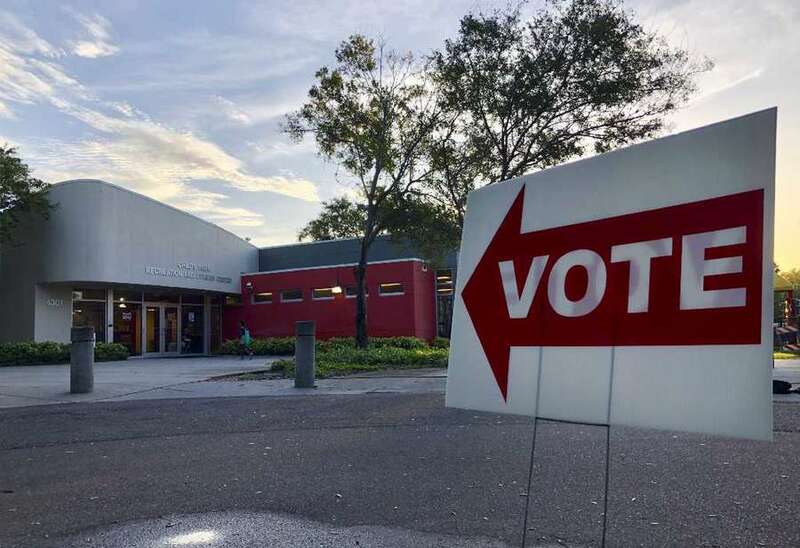 In Pinellas County, Dustin Chase, the communications director for in the elections office, said Primary Day was "a day of incredible turnout." "We're just having a great day," Chase said.